There have been some interesting developments recently with the green movement occuring in the Twin Cities. Though there are a few less stories in this post than usual, they're all big news! First, St. Louis Park loves its trees, but tight budgets have caused struggles to replace boulevard and park trees that die. In the faces of losing thousands of trees in coming years to emerald ash borer, that's not an option. A proposal that goes before the City Council in October would earmark money from the sale of city-owned and tax-forfeited properties for reforestation of public land. That could add at least $565,000 to a fund that provides about $60,000 a year to replace trees on city property. Second, recycling in Washington County has resumed ever since the county opened its new environmental center in Woodbury earlier in September. The center replaces the county's household hazardous waste collection site in Oakdale, which closed in June. Located at 4039 Cottage Grove Drive, the center is open from 9 a.m. to 2 p.m. Saturdays and Thursdays, and noon to 7 p.m. Tuesdays. Useable household products such as paints, automotive products and cleaners are available for residents to take for free. Maple Grove's experiment with a new sort-free recycling service has resulted in the collection of 71 more tons of recyclables per month between February through June. Additionally, more households were recycling. From 60% in 2008 to 80% during the first half of 2009. The results show that mixed recycling is a hit with residents. Basically, as with recycling and many other things, the easier it is, the more people will do it. Similar programs have worked just as well in other Twin Cities communities, so this recycling option may be available in more places soon! The Associated Press recently came out with an article that basically said that $1 million dollars is going a lot further when it comes to buying homes these days. Even so, sales of homes over $1 million are down by more than 50% from four years ago. For people who have that kind of money and are searching in that range, now is the time to buy. Though that's interesting, most of us aren't trying to purchase or sell million dollar homes. But the article did talk briefly about how during the housing boom, median real estate prices increased so much, so fast and homes were in such high demand that median prices skyrocketed. The article gave the example of Santa Clara, Calif. having a median price that hit $836,780 in 2007. Home sale prices dipped in 2007 for the first time in at least 20 years and are expected to remain flat or fall slightly in the coming year, officials from several Twin Cities-area real estate groups said Wednesday. The decline is bad news for anyone trying to sell a house and also is an indication of downward pressure on housing prices across the metro area -- sobering news for anyone who bought at the peak of the market or has borrowed heavily against the value of their house. 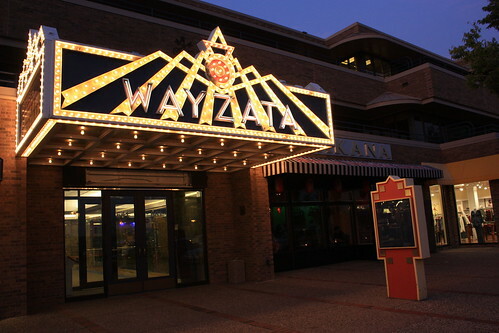 Located approximately 12 miles west of Minneapolis on Highway 12, Wayzata MN is a beautiful town on Lake Minnetonka. It is known for the lake and its quiet residential neighborhoods. But it also has a a thriving downtown business district, including along the shore at Lake Street. This is a Friday at just before dusk in Wayzata. As you can see, residents here enjoy a relaxed and social atmosphere particularly at Lake Street. The area is especially popular in the warmer months. There are several cafes and restaurants with open-air seating. 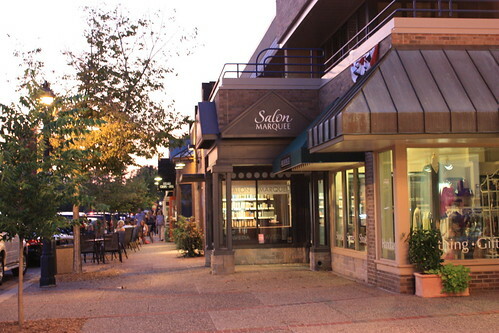 Small businesses and boutiques provide a variety of services and shopping options. Parking is available by car or by boat! It's true that it's almost October, but not all of these reports come out in a timely manner! The National Association of Realtors reports that home resales across the country dipped unexpectedly last month after a four-month streak of gains. However, the 5.1 million homes sold in August represent a 3.4% incrase in sales compared to a year ago. Analysts were still surprised, though, as they had projected home sales to be 5.35 million in August. Nationally, the median sales price was $177,700, down 12.5% from the same month last year. Prices were also down 2.1% from July. Locally in the Twin Cites area, pending sales of homes have risen for 14 consecutive months. August saw 4,897 signed purchase agreements, up 11% from August 2008. According to the Minneapolis Area Association of Realtors, the median sales price for the 13-county metro region has grown from $154,125 in March 2009 to $175,000 in August 2009. Prices were flat during the same period last year. Unfortunately, there could be some bumps in the Twin Cities real estate market's road to recovery. RealtyTrac's August 2009 U.S. Foreclosure Market Report, which shows foreclosure filings — default notices, scheduled auctions and bank repossessions — were reported on 358,471 U.S. properties. That is a decrease of less than 1% from the previous month but still an increase of nearly 18% from August 2008. RealtyTrac's report of 3,688 foreclosures in Minnesota during August represented the 21st highest rated in the nation. The state's foreclosure rate is the highest in the Upper Midwest. It's the end of September. Whether you are trying to sell your home or not, now is the time to perform autumn landscaping and lawn care duties. Though the sun is disappearing, there is still plenty to do, not only to prepare the yard for winter, but maintain the curn appeal of your home if you are trying to sell it. 1. Clean up fallen leaves and grass clippings. When a home is for sale, piles of leaves in the yard and landscaping offer potential buyers a poor first impression of the home. 2. While raking the leaves, kill 2 birds with 1 stone by also dethatching the lawn. 3. Remove the leaves so they don’t smother the grass over the winter. 4. Though you may be ready to stop mowing, cut the grass as late as possible so that it is shorter when it goes dormant. Never cut it lower than 2 to 2-1/2 inches. When it stops growing, you can stop mowing. 5. Overseed bare patches now to fix brown spots in next year’s lawn. 6. Fall is a great time to prune trees, but avoid pruning until after the tree has gone into dormancy. Pruning too soon might encourage new growth and increase the risk of frost damage. 7. Ensure that the lawn and trees receive enough water in the fall to carry it through the winter. Water trees deeply. 8. Consider planting a few perennials. Now is a good time because the season is late and the temperatures are already cooler. As a result, the plants won't concentrate on growing leaves or blooms, but on building a healthy root system. 9. Pull annuals when the low temperatures kill them to reduce the appearance of dead, dying and dry plants. 10. Spread 6 to 8 inches of mulch (straw or leaves) over perennials to give them an added layer of protective insulation. 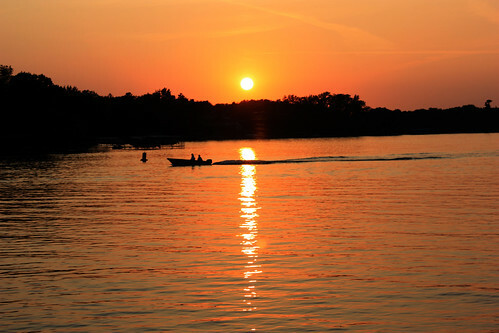 Lake Minnetonka is a 14,528-acre lake in Minnesota, located west-southwest of Minneapolis-St. Paul. The lake is an irregular shape with many bays and islands, giving it about 125 miles of shoreline. The lake has been a resort destination throughout its recorded history. Some of the cities that surround Lake Minnetonka include St. Bonifacus, Minnetrista, Mound, Spring Park, Minnetonka, Long Lake, Wayzata, Woodland, Deephaven, Shorewood, and Excelsior. The first known people of European descent known to have visited the lake were two teenaged boys from Fort St. Anthony, later renamed Fort Snelling. Seventeen-year-olds Joe Brown and Will Snelling found the lake in 1822 when they paddled up Minnehaha Creek. Minnesota's territorial governor Alexander Ramsey gave the lake its name in 1852. American Indians in the area referred to it as minn-ni-tanka, which means “big water.” The first settlements were constructed around it the same year. The first hotel was built in 1853. Seven schools in Minnesota are among 314 nationwide to be designated by the U.S. Department of Education as Blue Ribbon Schools. The schools earn the recognition for their academically superior performance or dramatic improvement in student achievement and helped close gaps in achievement among minority and disadvantaged students. The schools – 264 public and 50 private – will be honored at an awards ceremony on November 3 at the Omni Shoreham Hotel in Washington, DC. Over the last 27 years, more than 6,150 of America's schools have received this coveted award. Blaine MN is a dynamic and active community that's seen a flurry of business and residential development within the last few years. With a population now of about 54,000, Blaine is truly a city “on the grow.” Stretched between both Anoka and Ramsey Counties, it is in a prime location to offer great access to the greater metropolitan area of Minneapolis and St. Paul. Blaine was named one of Money Magazine's Top 100 Places to Live in 2006, and it is easy to understand why. Blaine, MN has a wide variety of real estate and employment options for residents. The city is a well-planned mix of business, light manufacturing, commercial-retail and residential areas. Several large employers call Blaine home including Aveda, Dayton Rogers Manufacturing and the Anoka County Airport. Nine universities can be found in and near the city. There are some great athletic, entertainment, and leisure activities available to the residents of Blaine MN. The National Sports Center is an Olympic-class training facility that provides top athletes the practice and preparation they need to perform to the best of their ability. The Schwan Super Rink in Blaine is the world's largest indoor rink and it provides children and adults with ice hockey and ice skating opportunities. For the golf enthusiast, Blaine is home to the Tournament Players Club of the Twin Cities and features a course designed by Arnold Palmer and Minnesota's Tom Lehman. There are also Brunswick Lanes bowling, Foss swimming and pool complex, and over 60 parks with trails, playing fields and courts. Finally, Blaine is in the running to become the home of the Minnesota Vikings new stadium. Twin Cities Parade of Homes (SM) & Remodelers Showcase (SM) - Combined! The Builders Association of the Twin Cities has combined its two fall events, the Parade of Homes, which features new construction, and the three-day Remodelers Showcase, featuring remodeled kitchens, additions and owner's suites. This is the first time the two shows will be linked. "We've talked about doing it for years," said Wendy Danks, the association's marketing director. "With the economy the way it is, we decided it was a good year to give it a shot." This year's event features 94 remodeled houses and 325 new ones. Prices range from $126,900 for a townhouse in Hugo to $3 million-plus for an estate in Orono. Most of the new houses are in the $200,000 to $300,000 range. The fall Remodelers Showcase is this weekend only, from Noon to 6:00 p.m., Friday through Sunday. The Parade of Homes has the same hours and will continue Thursdays and Fridays through October 4. The tickets are free, but there is a $5 charge to visit each of two Dream Homes and two Dream Remodeling projects. The tour also includes golf clinics, an art show, interior design seminars and a family fall festival. For details and a calendar of activities, visit www.paradeofhomes.org. Photo Friday will return next week. The Parade of Homes(SM) and Remodelers Showcase(SM) is a service mark of the Builders Association of the Twin Cities and is used with permission. The City of Minnetonka made some land overlooking Purgatory Park available to Hennepin Technical College last August as a place for students to learn green building practices. Since that time, 42 students training in carpentry, cabinetmaking, landscaping and architectural drafting built a one-story, 3 bedroom, energy-efficient house. It features eight-inch-thick exterior walls, high-performance insulation and windows, a high-efficiency furnace and water heater, and low-flow showers and toilets. The house was also situated on the Spring Lane lot to take advantage of passive solar heating and is ready for the installation of solar panels. Outside, it has rain gardens, rain barrels, permeable pavers and drought-resistant landscaping. Hennepin Technical College has students build houses with the direction and supervision of professionals every year, but this is the first one employing green construction. In the future all houses built by the students will be green houses following this format. It makes sense, as green new construction and remodeled energy-efficient houses are becoming more sought after. All it needs is a price tag. The city has decided to sell the green house instead of adding the lot to the park. Funds that were spent in order to buy the materials put into building the house will be returned to the college when the house is sold. This home is being sold by the City of Minnetonka, but remember that Barker & Hedges are excellent Twin Cities buyer representatives!